I’m glad the weekend is finally here, it’s been a busy week. It started too early for me though, I woke up around 5 AM unable to go back to sleep with everything I need to get to this weekend turning in my head after a busy week which I hate. And that was after staying up late last night washing our sheets and comforter after discovering a cat threw up on our bed at 8PM, not a great weekend start! With things still settling with three dogs and two cats, I sometimes feel like I’m always cleaning and the house is still always a mess. But I’m also looking forward to a little fun this weekend. 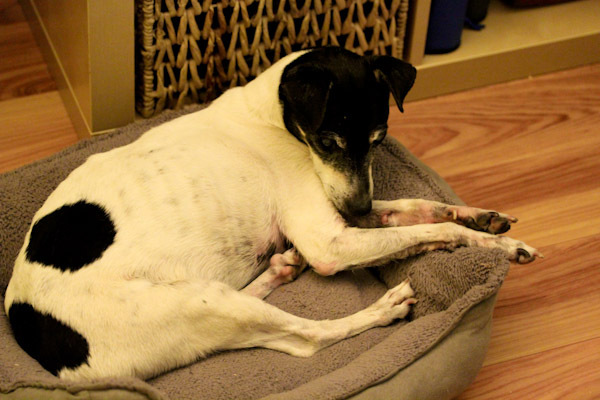 At least Skipper is having a relaxing morning. I did sneak away from work for a great lunch this week at Baagan to check out their new fall menu. The salad trio dish is now a salad boat with two warm sides and a cool salad for the cooler weather. 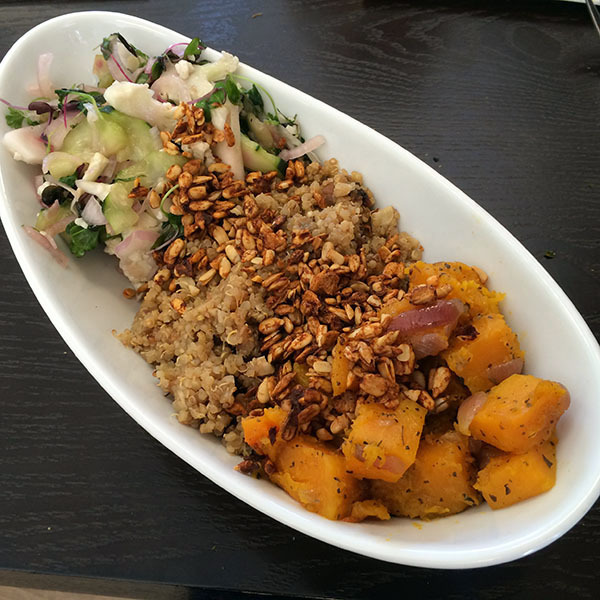 It featured Indian spiced butternut squash, sweet and spicy hazelnut quinoa, and tangy slaw-like salad. Delicious and filling, especially the squash! I desperately need to grocery shop this weekend, our kitchen is looking a little empty and I didn’t have much for breakfast this morning. I used the last bit of frozen bananas from our freezer to come up with a simple and delicious fall breakfast pudding. 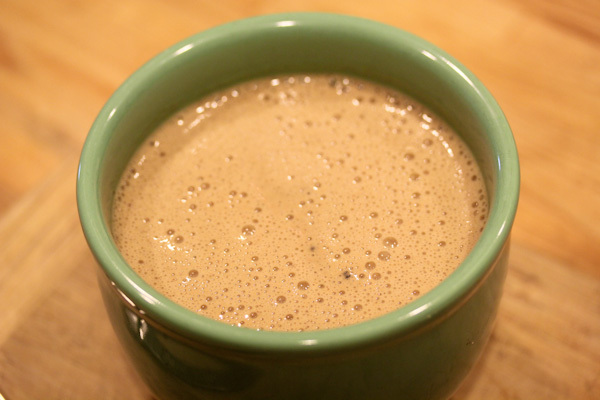 Place almond milk, bananas, protein powder, pumpkin pie seasoning, and stevia into a high speed blender and blend to a smooth and creamy texture. 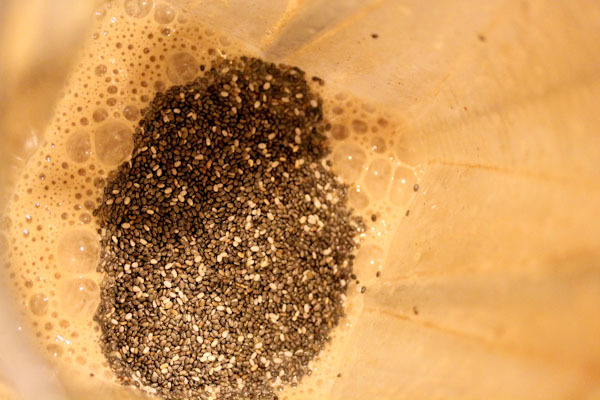 Add in chia seeds and blend on low briefly until seeds are well mixed in. 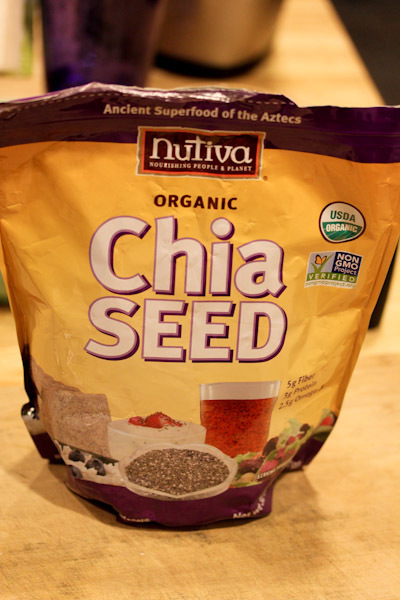 Pour into a bowl and let sit for about 20 minutes or until the chia seeds gel up. Serve and enjoy. Makes 1 serving. So glad Costco carries organic chia seeds now. 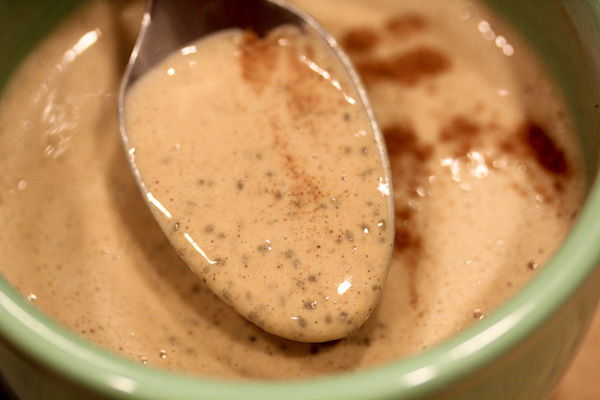 I used to manually stir chia seed pudding, but that can be tricky when the seeds start clumping. The Vitamix does a great job on low without blending up the seeds. Then just pour into a bowl and let sit for about 20 minutes. And maybe add a little cinnamon for topping. The texture is like a loose and creamy tapioca with a silky smooth texture from the bananas and a little crunch from the chia seeds. 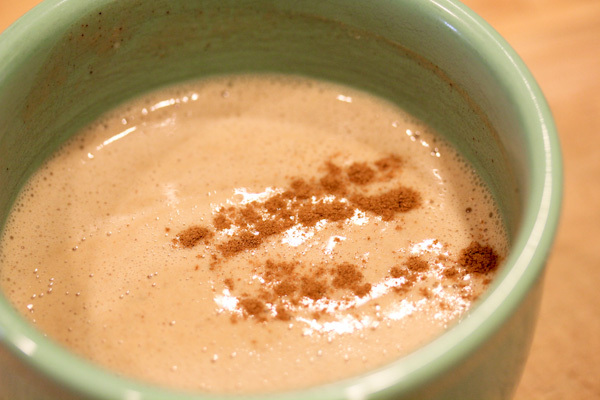 The flavor is a cross between pumpkin pie and a caramel-like dessert, but all delicious. Among them I also got the Marley Coffee Blend from them and looking forward to that as well! YAY! 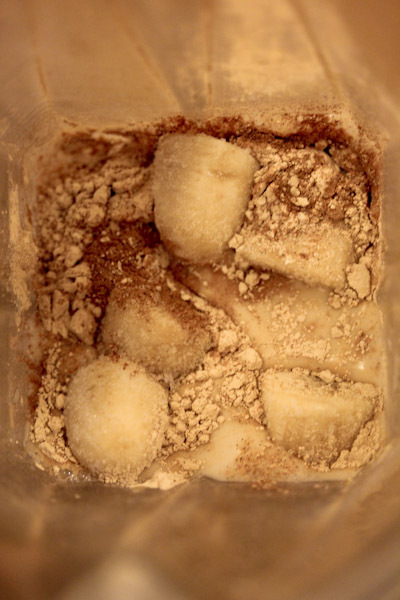 Bananas are great in smoothies, perfect for countering the slightly gritty texture of kale.